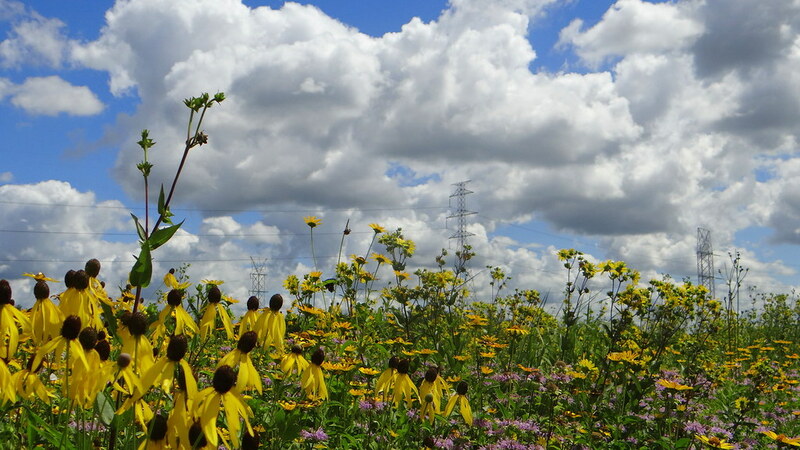 Under the summer sun And the fleecy clouds, The prairie flowers bloom. Before the day is done There will be crowds Of insects, fighting for room On the blossoms, to partake Of the nectar so sweet. Wings help the creatures make Quick landings with six feet. A scene of quiet and serenity Appears to our eyes; But the fast-paced activity Of the insects is seen by the wise. Coneflowers, Bee’s Balm and other flowers on the prairie, Lewis and Clark State Historical Center, Hartford, Illinois, 270713.